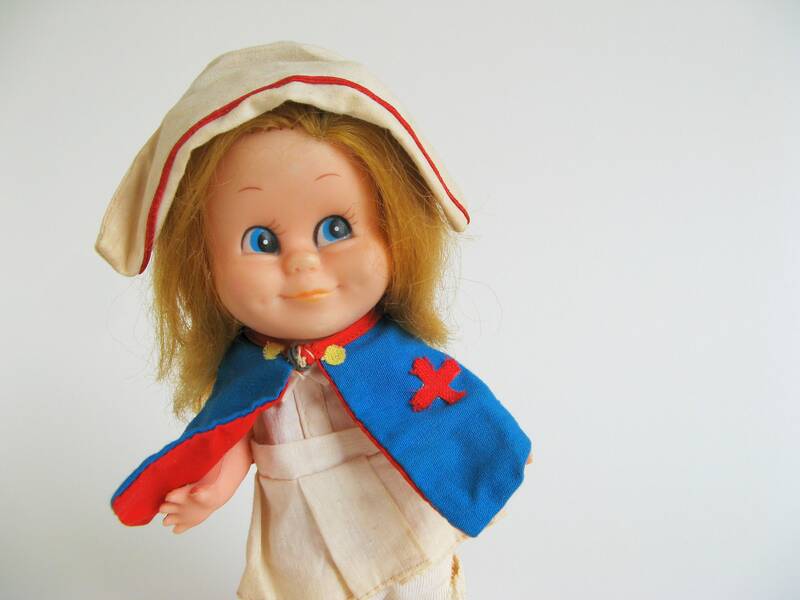 Utterly adorable vintage Nurse Doll wearing retro uniform. She comes complete with removable cap, cape, top, pants, socks & shoes. About 8 inches tall (20 cm). Made by R. Dakin probably in the 1960s. Her arms, legs & neck are jointed & move. She in in good, well played with condition. Her outfit is pretty worn and her whites have yellowed with age. © R. DAKIN & CO.